Pre-trip inspections are an integral part of every road trip for a trucker. Proper pre-trip inspections are important for proper fleet maintenance and they are required by law. Finding problems at the yard before you leave on a run will save a problem down the road, and more specifically a costly repair on the side of the road. Pre-trips are mandatoryunder current regulations and drivers are accountable and responsible for defects found on their units. 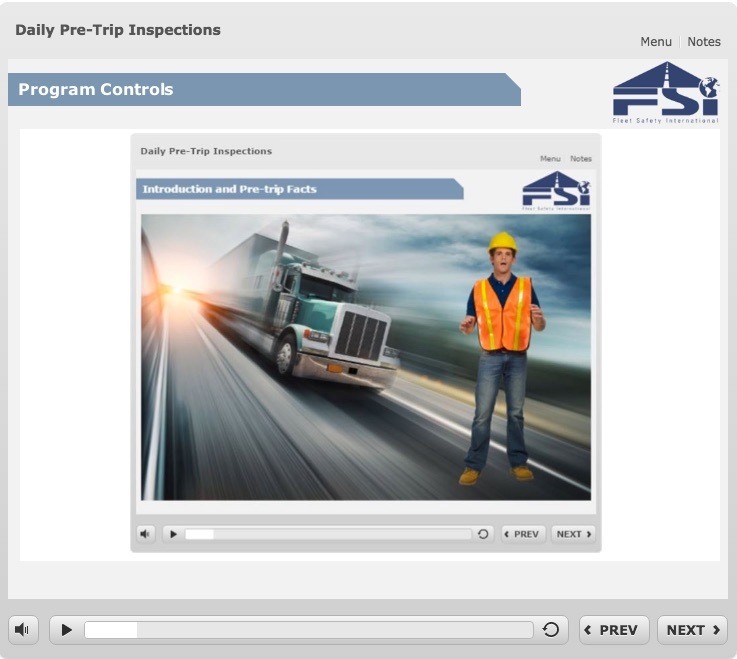 Understanding and effectively applying the vehicle inspection concepts explained in this online course will help truck driversand their fellow drivers around themroad safe.